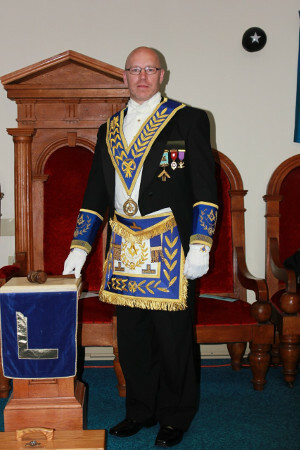 It is an honour and privilege to serve North Huron District as your District Deputy Grand Master. I look forward to the many travels and visitations we will share together this year. It will be elating to see our brethren take part in the events of our District and I encourage you to do so. Our District will also be hosting the District Bonspiel and Divine Service in the spring. These events have been a continued success, strengthening the comradery among the District. A special thank you to all the brethren who have newly joined, or continued as the Chair of our District committees. I look forward to working with our strong team to strengthen our District and I encourage the brethren to draw from their experience and skill. Together we can improve our lodges and ourselves. Throughout your Masonic journey, reflect on the many visitors that have sat in your lodge and shared your company, making the night more enjoyable. You bring the same enjoyment to others with every visit.